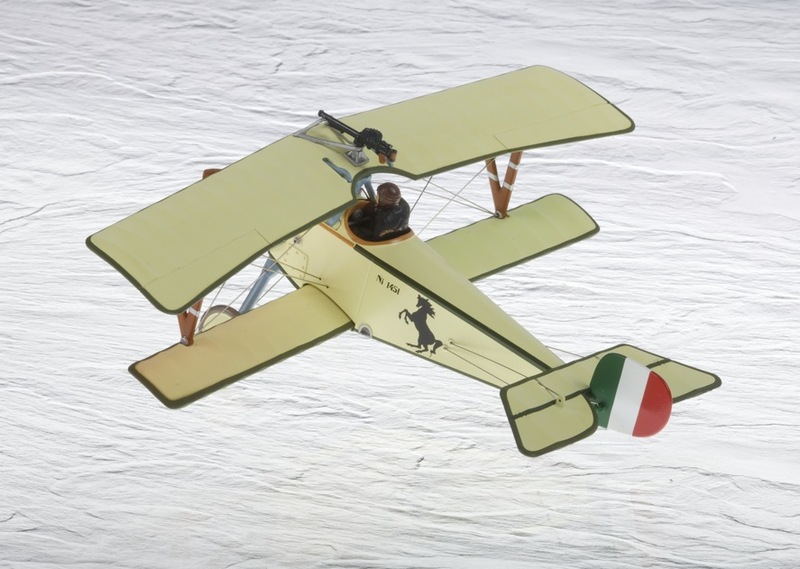 First World War ace fighter pilot Italian Francesco Baracca, flew a Nieuport 11 in 1916, shooting down the first five of 35 enemy aircraft, Italy having declared war on Austria in 1915. 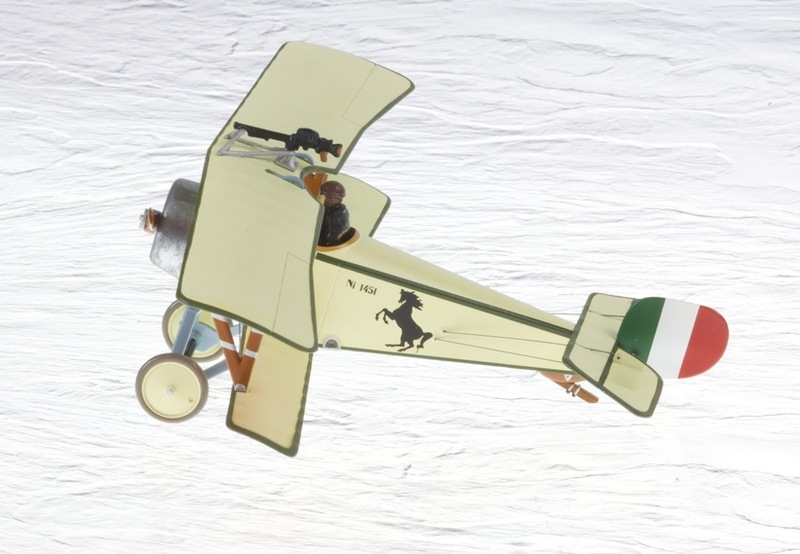 Following his fifth victorious sortie in November 1916, Baracca had a prancing horse painted on the sides of his Nieuport 11 in tribute to his former cavalry regiment (Piedmont Real). 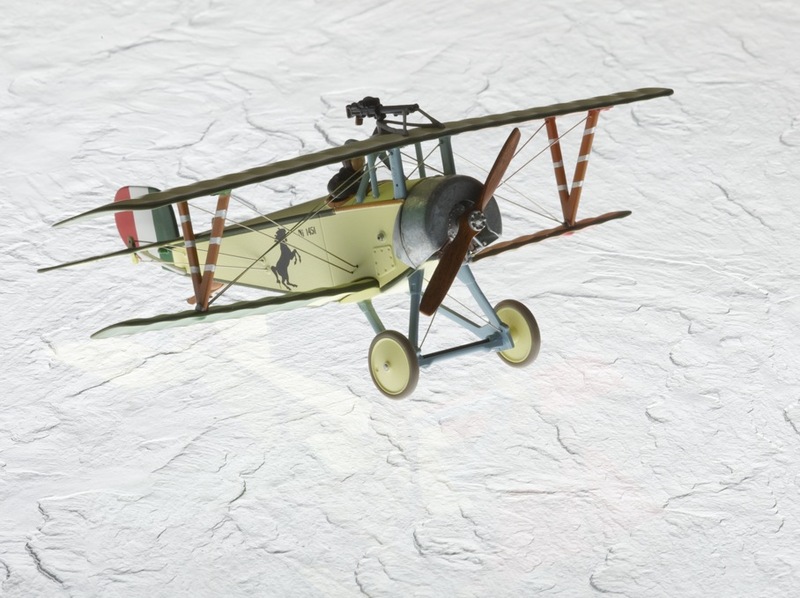 Later, he flew Nieuport 17’s and then SPAD 7 and 13’s, but was tragically shot dead by an infantry bullet in June 1918. In 1923, Enzo Ferrari’s debut race car win was rewarded with a prize given by Francesco’s mother (Countess Paolina Baracca). This was the prancing horse logo, as used by her son on his fighter planes, now offered for use on Enzo’s racing cars. Ferrari accepted the gesture with gratitude and nine years later, this emblematic logo appeared for the first time on Scuderia Ferrari cars in 1932 at the Spa 24 hour race. Since that time, the black horse on a shield depicting the historic colour of Modena, has identified all Ferrari cars, whether race cars or production models. When this 1:48 scale interpretation became available as a limited edition, I had to acquire an example to illustrate the birth of a the Ferrari legend, at least the iconic symbol that has come to represent Ferrari. This small model was photographed cleverly on a frosted translucent backlit glass plate, by my friend Louis R who has contributed a number of photographs to this website. 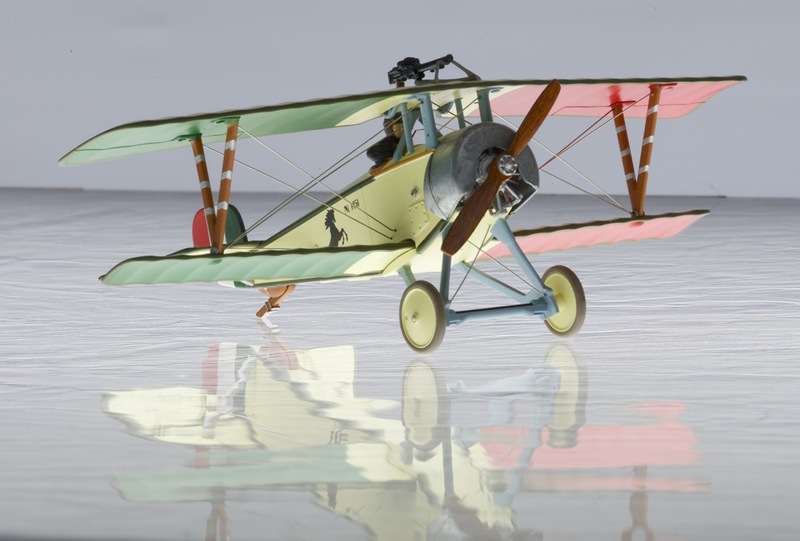 Those of you who are much more knowledgable regarding aviation models will be able to comment more concerning Carousel 1’s work, additionally appreciating the finer points more than I, however I am able to recognise this bi-plane as important during WW1 and moreso for me, to see how an aspect of military history inter-relates with motor sport history.